Germany is the #1 market in Europe and the beachhead to access the European marketplace. It is one of the most important markets in the world for live as well recorded music. According to the latest edition of the Recording Industry in Numbers (RIN) published by IFPI, Germany ranks #4 worldwide for recorded music (after UK, Japan and the USA). Germany is also #3 worldwide for physical sales, #4 for digital sales, and #5 for performance rights. Home to numerous large music festivals and music industry conferences such as Reeperbahn Festival, Germany is a vibrant music market where CDs still make up 75% of the overall music sales, yet still continues to be one of the top 5 major download markets in the world. Germany consists of 81.3 million citizens. Germany is a wealthy country, measured in nominal GDP the fourth richest country in the world, and the second largest on export and third largest on import of goods. Both Germany and its capital city-state of Berlin are important for the international music market. Over the past five to ten years, Berlin has emerged from being a poor, post-cold war city in to a flourishing melting pot of music and culture, for the Germans as well as new inhabitants from across the whole European continent. The music market is politically, culturally and geographically sophisticated. Industry stakeholders of music companies, festivals, talent buyers, agents and labels are politically, socially and culturally-intelligent and well-informed in their choices for good music. International music technology companies like SoundCloud, Beatport and Native Instruments are based in Berlin. It is important to be present where business partners and cultural consumers are seeking to in Germany, both for domestic and international music industries. Through market overview presentations, seminars, business meetings and networking sessions, the German market will be brought into light for Canadian music companies to find a home for their artists. Download the report now (PDF) Funding for this study was provided by Ontario Media Development Corporation. Any opinions, findings, conclusions or recommendations expressed in this material are those of the author and do not necessarily reflect the views of Ontario Media Development Corporation or the Government of Ontario. The Government of Ontario and its agencies are in no way bound by the recommendations contained in this document. 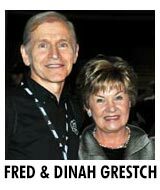 Canadian Music Week welcomes Gretsch Guitars as a sponsor of our Spotlight on Germany. Michael Bisping | A.S.S. Concerts & Promotions Michael Bisping was born 1956 in Muenster (Westfalen). He studied law in his hometown and after his final university examination, now being a legal expert, Michael Bisping founded his own booking agency "H & B Musikpromotion". 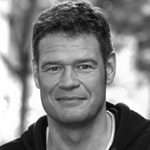 In 1986 he merged with Dieter Schubert and since then he is, aside from the latter, managing director of a.s.s. 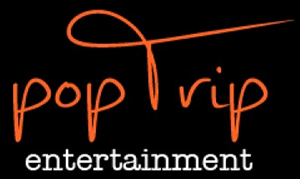 concerts & promotion gmbh. Moreover, Michael Bisping is engaged in management work. Michael Bisping has always been concerned in the matters and developments of the German Music Industry. 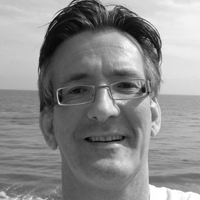 Since 20 years he is a board member of the federal association of the performance industry (BDV). He is in brisk contact with foreign partners as IMMF and he supports the IMUC, the association of German music managers and consultants. Alexander Schulz | Reeperbahn Festival GbR Alexander Schulz was born on 24th September 1966 in Hanover. Since 1970 he lives in Hamburg. 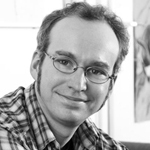 From 1989 until 1993 he studies "Applied Cultural Studies" at the University of Lüneburg. Additionally from 1985 until 1997 Schulz is responsible for bookings for music clubs and music festivals in Hamburg. Also parallel to his studies from 1987 to 1992 he works amongs other things as an assistant director at the Thalia Theater. Towards the end of his studies in 1992 Schulz founds Inferno Music Publishing/Editions at BMG UFA of which he is managing director. At Jam Records, founded in 1993, Schulz is managing director as well. In 1998 Schulz eventually founds Inferno Events GmbH & Co. KG for corporate events (clients: Unilever, Lufthansa and others), as well as public events (Hamburger Theaternacht, Nacht des Wissens, Reeperbahn Festival Campus, After Work Club and others). Here Schulz is managing director. At the moment the company has 12 employees in a permanent position. The foundation for the Reeperbahn Festival GbR of which Karsten Jahnke Konzertdirektion GmbH and Inferno Events GmbH & CO. KG are shareholders has been laid in 2006. The company organises the annually held Reeperbahn Festival which was founded by Alexander Schulz and currently has ten employees. Schulz is managing director. Christof Ellinghaus | City Slang Representing VUT the body that unites over 1,200 independent music companies in Germany, Ellinghaus is also owner of a label called City Slang. He started out as a booking agent in 1988, arranging tours for now iconic bands such as Flaming Lips, Soundgarden and Nirvana amongst others. His label has released music from bands such as Hole, Tortoise, Arcade Fire and Calexico and many more. Ingo Beckman | Target Concerts Ingo Beckmann was born in 1968 and music was always around him. When still being at school he already started working for a promoter in his neighbourhood as show representative, stagehand and one-man-streetteam. He took a break after his A-levels and studied Literature and History in Bielefeld instead. 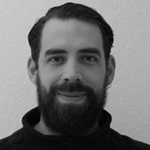 During his studies Ingo was working as freelance tour and production manager before he moved to Bremen based Blue Star Promotion as promoter and talent buyer. After some years there he joined Target Concerts as promoter / booking agent In 1999 and soon became shareholder. Nowadays Ingo works with mostly international talent in Germany, exceptional in Austria & Switzerland, too. Target Concerts also offers services as hired-in local promoter for Munich shows. His roster contains artists from many different musical genres, so does the venue circuit the company is working on: from rave to singer / songwriter, from viby clubs to arenas and festivals. Jens-Markus Wegener | IMAGEM Music Jens-Markus Wegener began his career in the late '80s with publicity and marketing, including radio, print media and club promotion through his firm, Public Propaganda, with representation including MIDEM (France), Popkomm (Germany) and NewMusicSeminar and MusExpo in the USA. 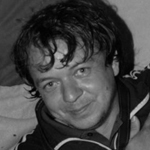 In 1990 he launched DDC-clubcharts, Europe's most influential tracking of the explosive dance scene. That year he also created AMV/Alster Musikverlag, imprints for both USS and LME labels. By the turn of the millenium he had created the German Dance Awards, and became a board member of DMV (the German Music Publishers association). By the late '00s, Wegener had established a JV between AMV and Talpa Music BV to form AMV Talpa GmbH, which, by 2009, had cuts on the #1 albums in the USA and France, as well as Germany and Japan. [Germany: AC/DC: Iron Man 2 / USA: Drake “Thank me later” / France: La Fouine / Japan: Kat-Tun: Going!] By 2011, he was among the top 10 most successful music publishers in Germany, and the following year acquired Talpa's share in AMV Talpa, while selling the AMV catalogue to Budde Musikverlage. Among the German chart hits which Wegener signed to AMV Talpa are: UNHEILIG; Glasperlenspiel “Weit weg”; Popidol-winner Thomas Godoj; “Mein Ding” von Udo Lindenberg; ”Aus meiner Haut” von Oomph! ; Michael Schulte (Voiceof Germany);Frank Popp „Hip teens“. In 2013, Wegener accepted an offer by André de Raaff (President and CEO IMAGEM GROUP) to become the German MD of IMAGEM Music GmbH for the GSA-territories. Markus Kühn | FluxFM At the age of 10, after moving several times, Markus Kühn settled down in the Midwest of Germany. He went to school there and afterwards studied computer science, music, and law. In his schooldays he played in various bands until at the age of 18 he bought his first sampling machine. Shortly afterwards, he signed his first record contract. He was fascinated by the possibilities that the recording studio offered him und started to realize that he would finally be able to combine the two most important things in his life - music and computing. He has been playing music instruments since he was 5 years old, and at the age of 9 he wrote his first program in Assembler on a Commodore C-64. During his studies he worked as scientific assistant in the computer centre of the University of Mainz for 3 years. In this position he was in charge of the UNIX network and the first internet applications of the University. With this musical training and practical studio experience he joined the German TV station ZDF. As music consultant he was responsible for the music selection and advised directors and editors producing films and spots; the technical realization of adding the soundtrack and sounds was another of his responsibilities. 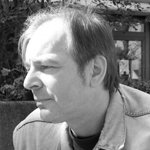 Simultaneously, Markus Kühn worked as a freelance composer for film and TV (e.g. for ZDF, 3sat, arte, SAT1). He devoted himself to producing and remixing club music, primarily House Music. His productions were published by Urban Records and WEA . As he was interested in the economic background of the music business, in 1998 he changed from ZDF to Universal Records in Hamburg. He became manager for marketing and New Media. 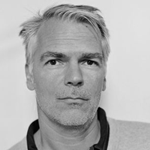 In 2001, still in Hamburg, he founded the company m2m medien.marken.musik together with Mona Rübsamen (previously Head of Production at MTV). m2m had a branch in Berlin, and eventually in the next year, moved to Berlin. 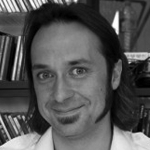 Markus Kühn is m2m's marketing and media consultant. He plans and implements cross-medial marketing and promotion campaigns for brands, artists and labels. M2m is also the major shareholder of FluxFM, an innovative radio station, which he founded in 2004 und heads as managing partner together with Mona Rübsamen. Now FluxFM is broadcasting terrestrially in Berlin, the state of Brandenburg, Bremen and Stuttgart. Michael Borwitzky | Ferryhouse Productions Michael Borwitzky is the A&R/ Marketing Director of ferryhouse productions. 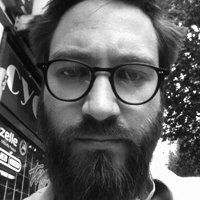 The company is located in Hamburg and exists since December 2005. ferryhouse is focused on developing new talents, mainly from Germany but since Michael Borwitzky started working for ferryhouse in October 2011 he started licencing bands and artists from other countries as well. Recently he signed Jill Barber from Toronto and Paper Beat Scissors from Halifax. Before working for ferryhouse productions, he worked for German independent distribution company Soulfood Music Distribution. There he worked with Canadian companies such as Dine Alone Records. Besides ferryhouse productions, Michael Borwitzky is one of the owners of the Hamburg based label The Organisation, which released albums from rock/indie bands like Arkells, Earl Greyhound, Eastern Conference Champions and Rose Hill Drive over the last two years. Andrew Campbell | Gordeon Music From 1987 to 1992, Andrew Campbell worked as a freelance journalist and photographer (Junge Presse Berlin, Berliner Morgenpost, BZ, Prinz Berlin etc.) in both East and West Berlin, covering cultural events like the famous Berlin “Jazz Fest”, “Berliner Filmfestspiele” or “Theatertreffen der Jugend” and many others in both sides of the city. 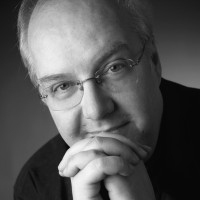 After the fall of the Wall in 1990, Andrew Campbell hired on with Sony Music Germany in charge of radio promotion and artist development, remaining with them until 1992. Following this, Andrew Campbell, together with his partner Jan Jaedike, founded Gordeon Music Promotion in 1992 and later the label G-Records, the publishing company Edition JA and recently the management company G-Management. 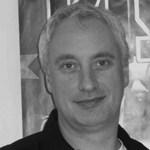 Since 1992 Andrew Campbell also worked as a radio promoter for companies such as SPV Schallplatten GmbH, V2 Records, Koch International and others. 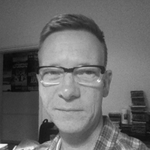 From 1993 to 1996 Andrew Campbell has also worked as an Assistant Supervisor for the company Aviation Defense International, based in Berlin Tegel Airport (TXL). Gordeon Music Promotion is more than 20 years in business, a company very active in radio, press and online publicity work, music publishing (Edition JA / Meisel Musikverlage), label and distribution work (G-Records / Rough Trade Germany) and market consulting, as well as artist management (G-Management). 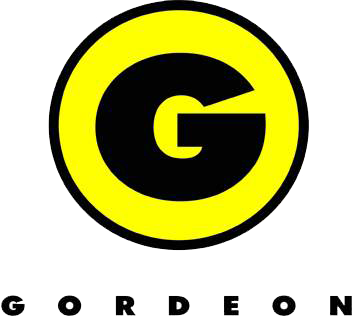 Although a relatively small company with highly motivated staff of six, Gordeon Music has successfully promoted artists such as Tom Jones, Paul Anka, Robin Bibb, Backstreet Boys, Brian Adams, Kiss, Rammstein, Depeche Mode, Emmylou Harris, David Garret, among many others which we represent in the past or present. Bjorn Meyer | Odyssey Music Björn runs the label services department at Odyssey Music Network. Odyssey Music is the management home to bands like Apocalyptica, Royal Republic, We Butter Heather Nova, Truckfighters and more. Odyssey Music Network's label services division is an independent solution for music marketing, product management and distribution on a pan-European basis. Established end of 2012 the label services division has worked on releases by Apocalyptica, The Dillinger Escape Plan, The Fratellis, We Butter The Bread With Butter and more. Christian Mix-Linzer | Tracks & Fields Christian Mix-Linzer has started his first record label at the age of 16 and has worked in the entertainment industry ever since. Today he is the CEO and founder of Tracks & Fields, a music licensing and supervision service in Europe that finds and licenses campaign music for clients such as Audi, Porsche, Hyundai, Ebay, Google, Orange or McDonalds. He holds an MBA from IE Business School as well as a BA in media studies. Marco Noni | popTrip Entertainment After working for one year a Cologne based music promtion agency and another two years for an Artist Management, which was mainly working with acts from the Metal genre, Marco Noni started an alternative, entry free music festival called „Heimspiel Open Air“ in 2004. With up to 8.000 music fans attending, presenting national as well as international acts like Biffy Clyro (UK), Maximo Park (UK), Mia. (D), Donots (D) and many more, the festival was a huge success.In 2006 he started his career as a booking agent at Meistersinger Konzerte in Berlin, representing international artists like Robyn (SE), Matt&Kim (USA), Yelle (FR) and Hellsongs (SE) as well as established German acts like Erdmöbel, Fehlfarben, Alexander Veljanov and Das Bo.In 2011 he teamed up with a TV Production & Management company to found the booking & management agency Sector3 Live, booking acts like Mark Forster, Auletta, Buddy Ogün, Hellsongs and Mother Tongue.As Marco will be moving to Canada in 2014, he is redirecting his business, which includes founding the new company popTrip entertainment. While continuing to book acts he has worked with over the last couple of years, he will focus on getting Canadian artists over to Germany and starting to set up relationships and collaborations between the Canadian and German music industries. 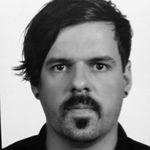 Nick Hüper | ICS Festival Service GMBH Nick is working at ICS Festival Service GmbH / Wacken Open Air since 2004. Starting as a trainee for public relations besides finishing his studies in economics and marketing he has then been through most of the companies departments and projects (f.e. co-developing the W:O:A Metal Battle, Heavy Metals biggest live talent contest taking place in more than 35 countries). 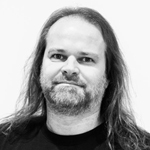 Since 2009 he is responsible for communications, online and new media as well as brand building in the western markets for the worlds biggest Heavy Metal Open Air, the W:O:A.
Niels Andersen | Oktober Promotion Niels has been working in the music-industry since 1992. He started in trade, and then went to eastwest/Warner Music where he successfully worked as a promoter and product manager for more than ten years. 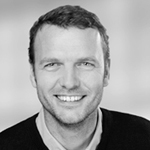 In 2004 he co-founded Oktober Promotion together with Oliver Bergmann. In addition Niels was the manager of German Metal-Band Maroon for three years. 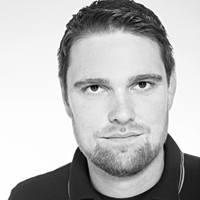 Oliver Bergmann | Oktober Promotion Oliver gained his first experiences in the industry early on by working in the promotion- and the Artist-Coordination-departments for eastwest/Warner. 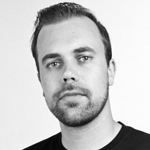 After finishing his business studies (with focus on marketing) and a variety of internships (with companies such as Twentieth Century Fox or the Holsten Brewery), he launched Oktober Promotion in 2004 together with Niels Andersen. More recently, he co-founded a record label called The Organisation (releasing international acts like Arkells, Earl Greyhound etc in Germany) in 2010. Stefan Reichmann | Haldern Pop Festival Stefan Reichmann is a founding member and musical director of the Haldern Pop Festival. Haldern Pop also encompasses a label, a bar and a "day off" hotel for artists stranded between Paris and Berlin or Amsterdam and Cologne. We organize things in a dimension which corresponds to the size of our village, not to the percentages of an investment banker. Haldern Pop represents hospitable transit between the mosaic of regionality and multifaceted internationality. Remarkable and strange, and therefore existential. "We will experience many more albums of silence in the name of tranquility and gentle auditory friction, as "polarity" is the transistor from art to movement." Music has the capacity to enthrall, and that is what connects us. Listening. The quiet revolution. Stephanie Pierre | Scout Promotion Stephanie Pierre is the owner of Scout Promotion – a PR Agency she founded in 1999. 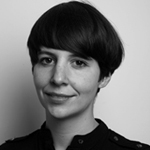 Stephanie is specialized in placing artists and bands on nationwide Television/Video/IPTV mainly in the German but also Austrian and Swiss market. Scout has represented well-known artists such as Patricia Kaas or Roger Hodgson/Supertramp, and also genre bands such as (Blues) Grammy Winners Tedeschi Trucks Band. Recently Scout successfully introduced Canadians Jill Barber and Quebec rock star Jonas & The Massive Attraction to German TV viewers. Volker May | FZW Event GmbH -since 82 managing partner of Energie Publishing and Energie Concert GmbH - in 91 he took over the exclusive booking for Die Fantastischen Vier, one of Germany´s first and most successful German Hip Hop act. He represented the band for more than eight years and collected several Platinum and Gold awards - furthermore he worked at the same time as a vice president for an international joint venture. The company was founded in Poland and started to run a commercial radio network in five major cities. - in 2002 he was appointed as a manager for MUNDSTUHL. A trash comedy act signed to Sony Music Germany and MUNDSTUHL sold more than 600.000 units of their records. - in 2004 he was one of the founding members of MMF (Music Managers Forum) Germany -2005 he was appointed as a Vice Chairman Europe of the IMMF. The International Music Managers Forum is the umbrella organization of 18 independent national member organizations. -2006 he started to work as a booker for the metal gothic act KRYPTERIA -2007 KRYPTERIA performed on major festivals in seven countries -2008 he was appointed as a management board member of the IMUC an association for music managers and consultants in Germany. 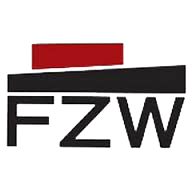 On behalf of the city of Dortmund he worked as a consultant for the new building of the FZW, two venues under one roof with a capacity of 1.300 and 300 persons. -2009 he was appointed as Head of Booking and Events of the FZW -2011 he became a Managing Partner of the FZW Event GmbH. The company promotes and organizes round about 220 shows per year in the venue -2012 he booked an Asia tour for KRYPTERIA including shows in South Korea and China, panelist at Moshito Music Conference, Johannesburg, South Africa and at Reeperbahn Festival, Hamburg. -2013 he stimulated managers in Spain, Estonia, Ghana , Zimbabwe and Latin America to found independent manager associations in their countries under the IMMF umbrella.He was appointed to be a member of the Reperbahn Festival Advisory Board. and was booked as a panelsist on conferences in Spain, Portugal, Italy, Columbia, South Africa and Germany -2014 he was elected as the IMMF Vice Chair Till today Volker May was responsible to book and organize more than 3.000 live shows throughout Europe, Asia and America. Claudia Seeber | Embassy of Canada - Berlin Claudia Seeber holds a degree in North American Studies and Business Administration. After working in trade development for the State of Massachusetts and the State of Mississippi, she joined the Canadian Trade Commissioner Service in 2000. 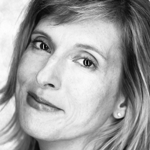 In her role as Trade Commissioner, she is responsible for promoting German-Canadian trade relations in the field of TV and film production as well in the music industry. In this capacity, Ms. Seeber provides Canadian exporters with market intelligence, advises on business customs and helps to establish contact with key players in the market. Ms. Seeber maintains a close network of German music industry representatives and can match Canadian businesses with German counterparts.